in Kobiernice, near Bielsko-Biała, where for almost 10 years we have been making products from cocoa-milk coating and chocolate products. 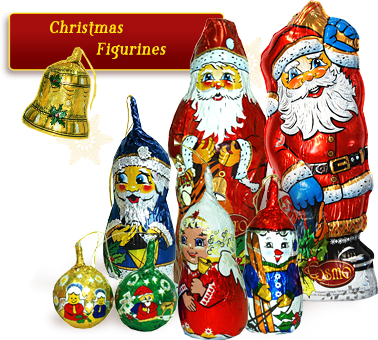 We specialize in producing seasonal figurines associated with Christmas and Easter. 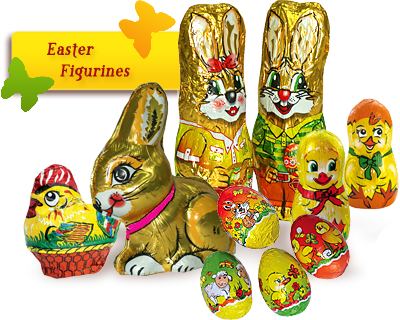 We offer a wide selection of Santa Claus and Easter bunny figurines produced from cocoa-milk coating and the highest quality chocolate. Our main customers are "brick and mortar" wholesalers and national chains. Much of our production also goes to the European Union and Eastern Europe. Our company provides flexible customer support to ensure supplies of chocolate Christmas figurines for chain and wholesale customers.